I know that most people who read my blog know how to knit socks. But, I thought that for those that don't, I would post a thing or two about sock knitting over the next three Wednesdays. This month, I am teaching "Sox in the City" at Fuzzy Wuzzy in Arlington Heights. It's normally my friend Jenni's class, but I picked it up for her this month, while her son was in town. 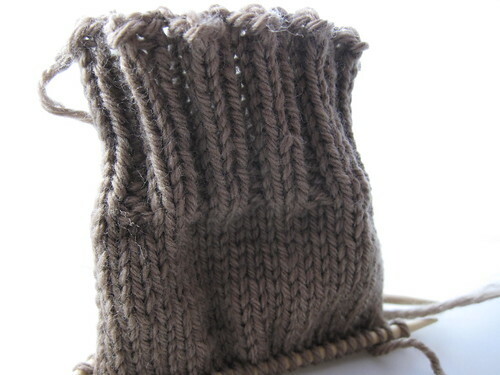 The class goes over how to knit a basic cuff down sock. So, it obviously starts out with the cast on. I am of the opinion that your cast on better be pretty loose. Maybe I just have a freakishly large heel or something, but I have knit a sock or two that were unwearable due to not being able to get it on my foot! I find that long tail cast on (for me, anyway) is a little snug. So, when knitting a sock, I always go with the knitted cast on (video link). 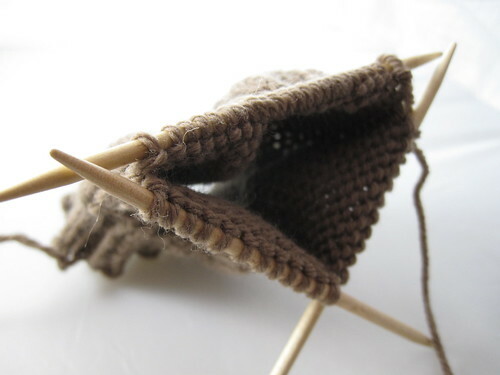 I always make sure that the cast on edge is facing inwards on all three double pointed needles. Then I pick it up, join it, and start the ribbing. I am sure to pull tight on the first two stitches of the round, so that it is joined nicely. You can also use the method of swapping the first stitch and last stitch in order to join the round tightly (here's a link that describes that). Most socks start with ribbing. 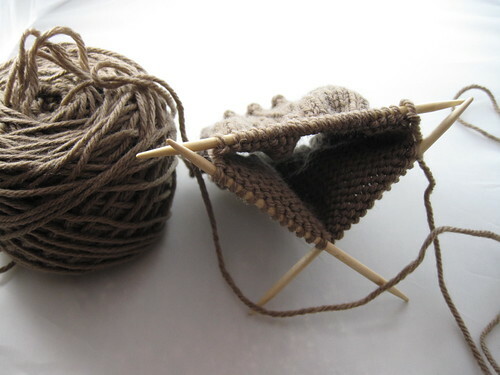 For a basic sock, like this one I am knitting for the class, I like to go with a 2x2 rib (that's knit two, purl two around). You can knit the ribbing for as long as you like, but I went with 2" for this sock. Enough to hold the sock up. So, now I will just keep knitting every round until my sock is 6" from the cast on edge. Next week, I will go over knitting heel flaps, turning the heel and the gusset.